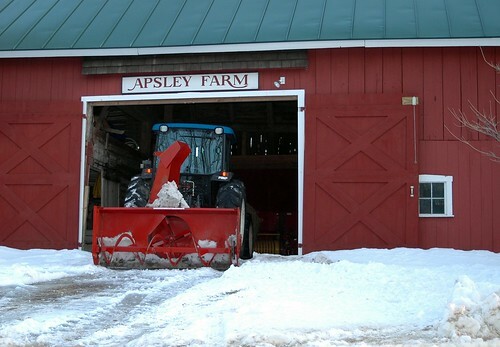 apsley farm, originally uploaded by jahansell. This is the home of the cows I showed yesterday. Up on Sharon Mountain, it's in a lovely spot, all rolling hills and far views. Other than a few horses and the highland cattle, I don't know much about what they have there - if it's mostly animals, or also crops. Gosh, a big enough farm to warrant their own snow plow! Or is that pretty common around Sharon? Lovely shot! i miss snow very much! have a good week Jenny!